Dental X-rays are essential, preventative, diagnostic aids that provide valuable information not visible during a regular dental exam. 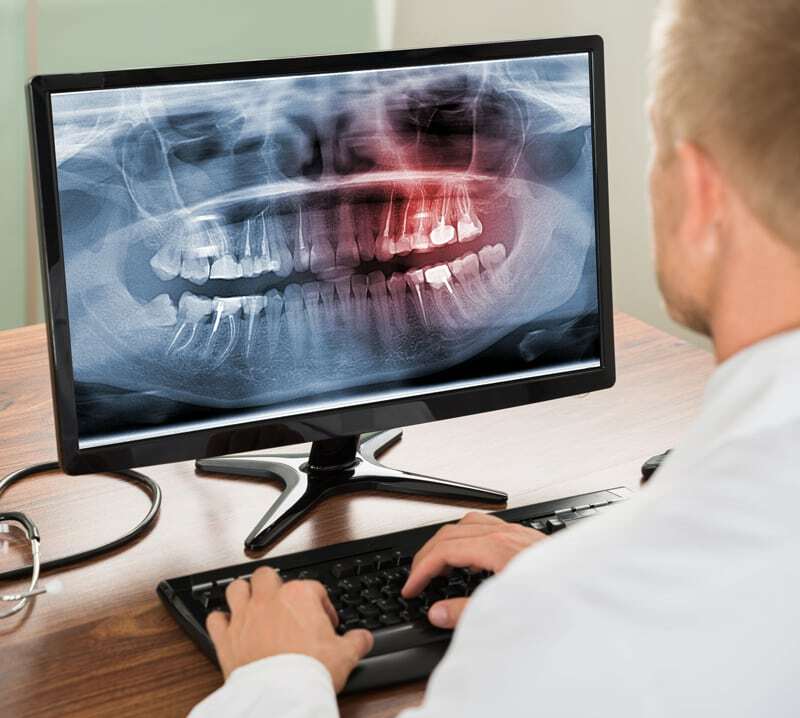 At Alliance Dental Specialists in Oakville, Ontario, we use Digital X-Radiography to safely and accurately detect hidden dental abnormalities and complete an accurate treatment plan while reducing radiation exposure by up to 80 percent. Are dental Digital X-Rays safe? The amount of radiation exposure from a full mouth series of x-rays is equal to the amount a person receives in a single day from natural sources. We take necessary precautions to limit your exposure to radiation when taking dental x-rays. These precautions include using a lead apron shield with a thyroid collar for your protection.